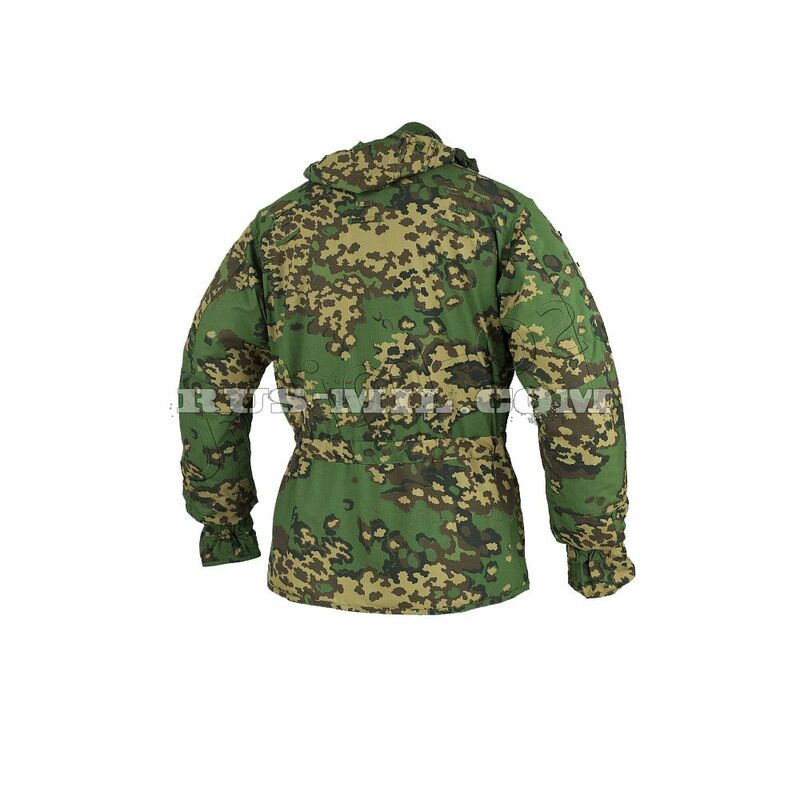 Partizan camouflage depending on the color options can be used at different times of the year. 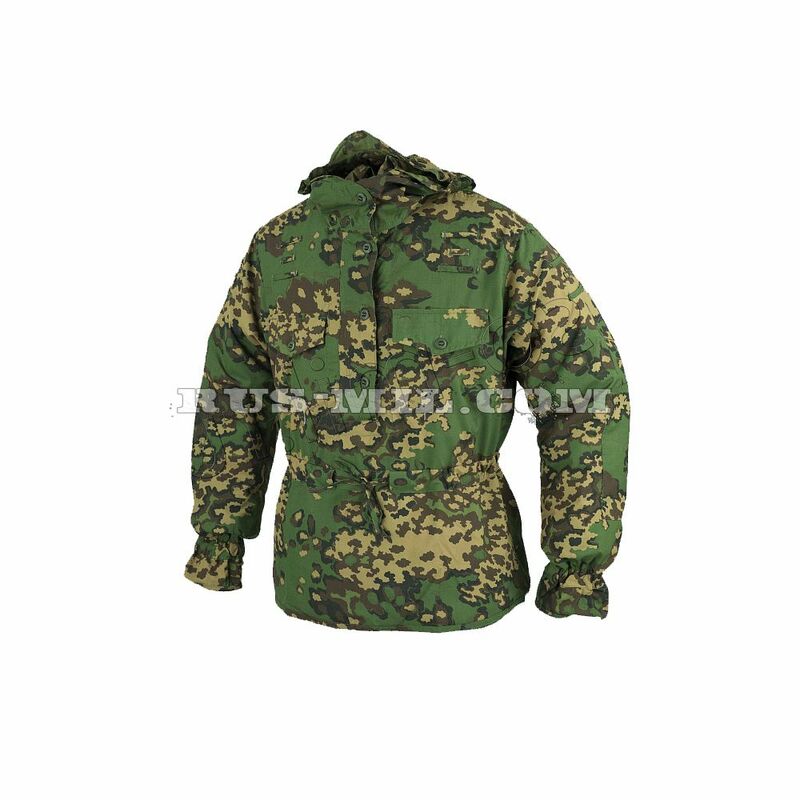 Made from mixed fabric composition Polyester-Viscose. Possible colors: Summer (manufacturing base case), autumn. 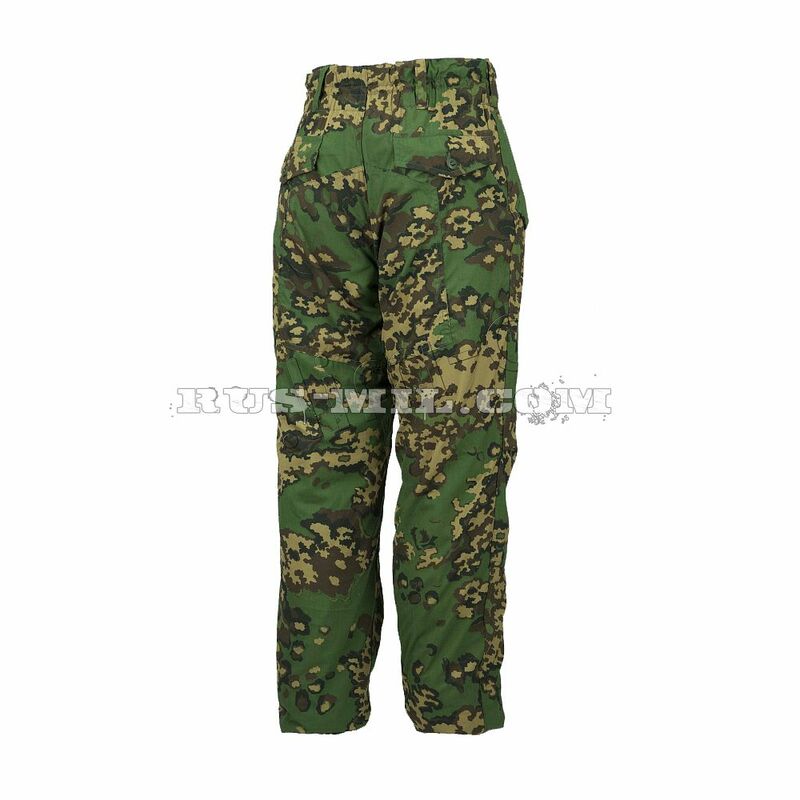 Partizan camouflage suit summer turnout suit SSO/SPOSN. 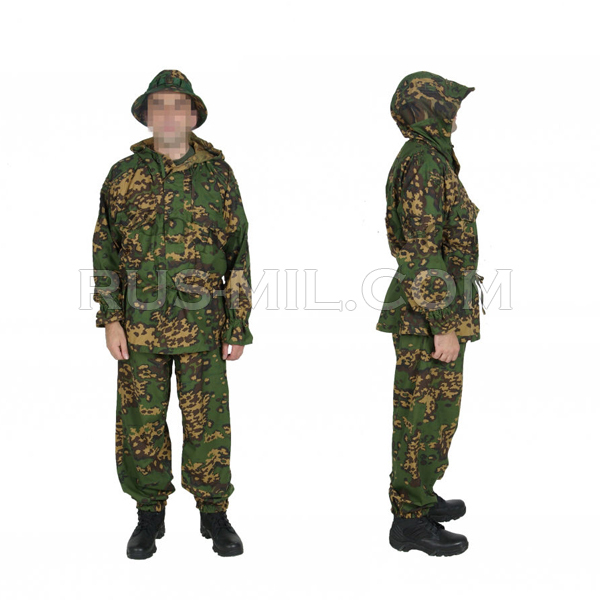 Partizan camouflage suit provides better camouflage than conventional suits. 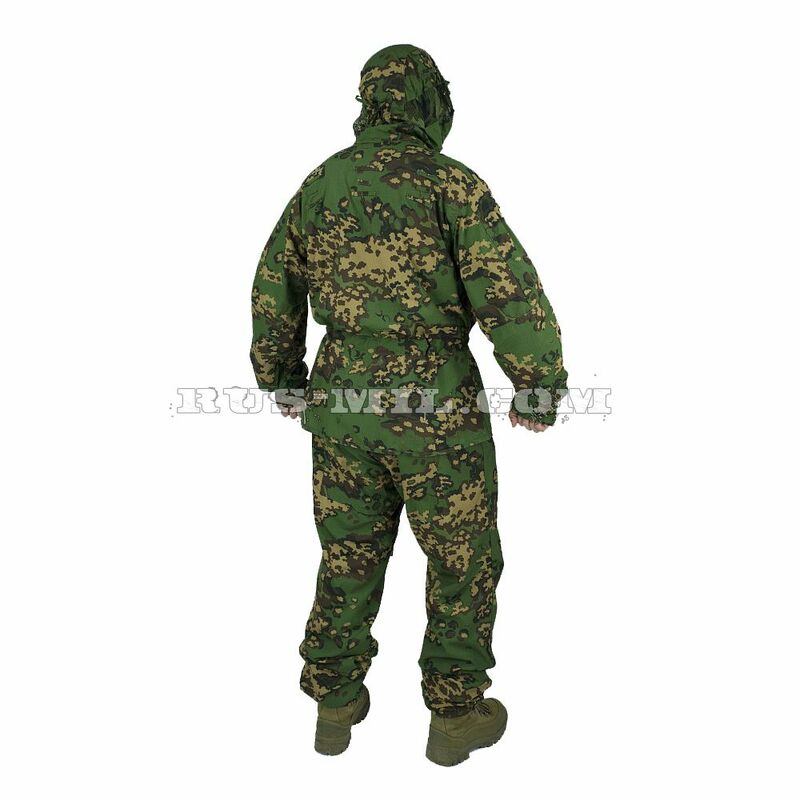 Sweatshirt with hood and loose pants baggy impart the costume look, do not emphasize the human figure. All pockets and other structural elements are turned out and at the same time retain its functionality. Through design features Hood costume has improved opportunities for listening. The jacket has two pockets with buttons. Elastic ribbon pulled together at the wrists. Belt adjustment utjazhki jacket. Elbow area reinforced with a second layer of fabric. 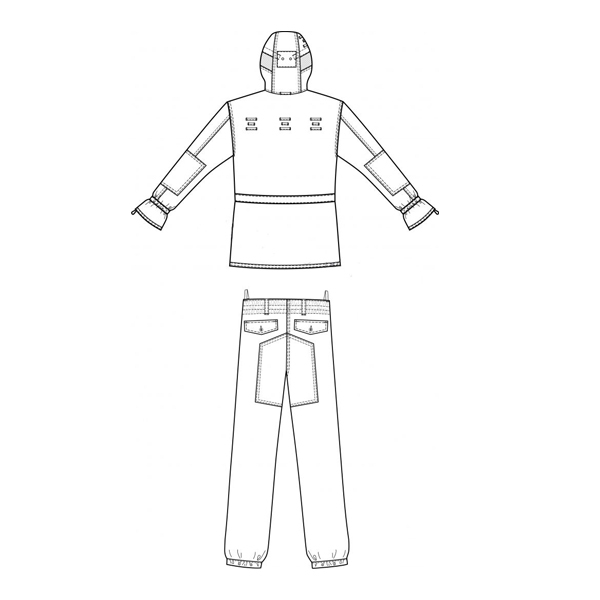 The shoulder area, sleeves and hood lined with loops for attaching additional elements of disguise. 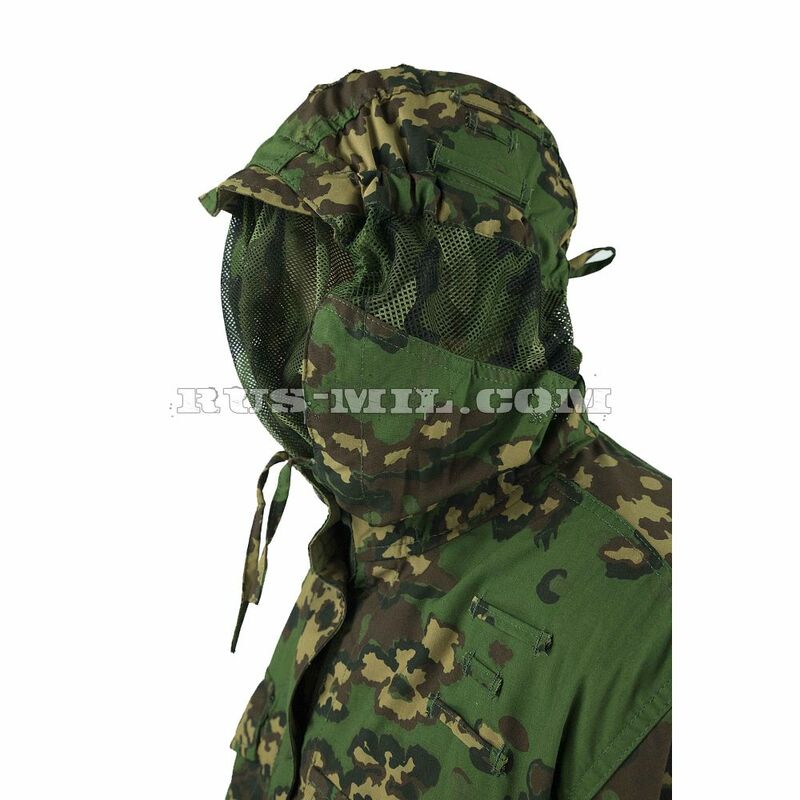 The suit has adjustable volume two cords hood with visor. 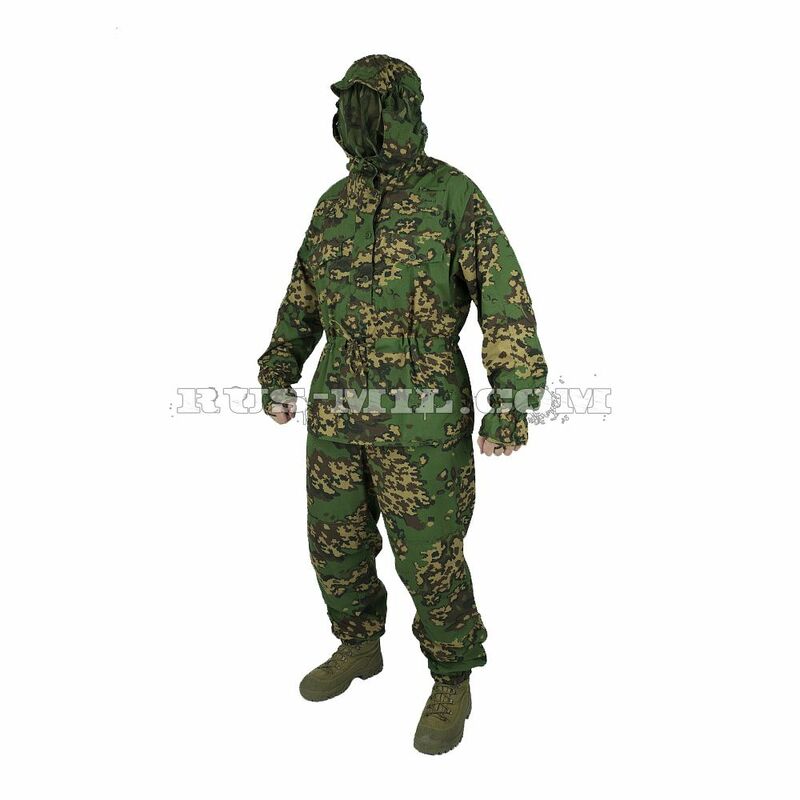 Grid for camouflage face (it is used as a mosquito net), regardless of the suit is worn, you can quickly attach and remove it. 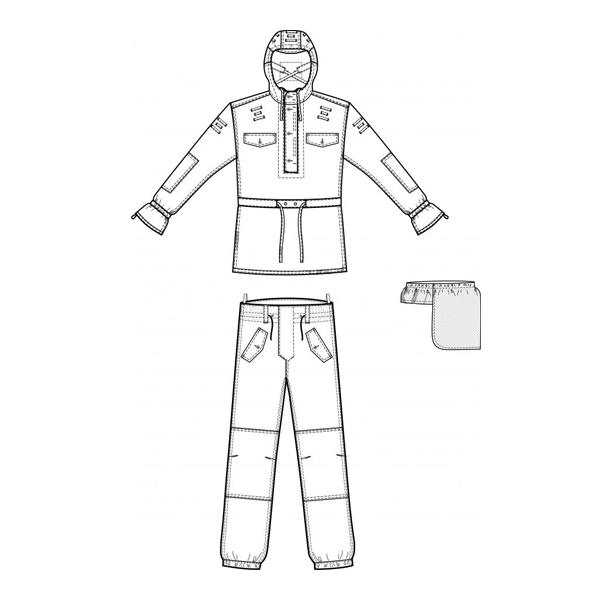 All buttons are located on the tape legs, eliminating the possibility of their separation. 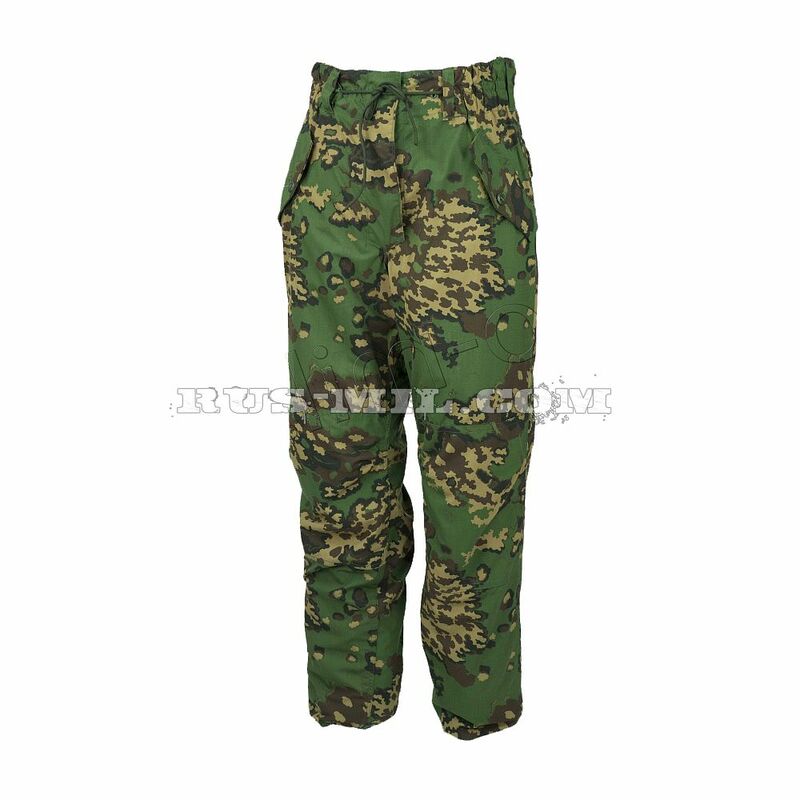 Pants are equipped with two back pockets, two side have slits for ventilation and access to underwear, elastic-waist tesemochny extra complication and rope loops for attaching to help. 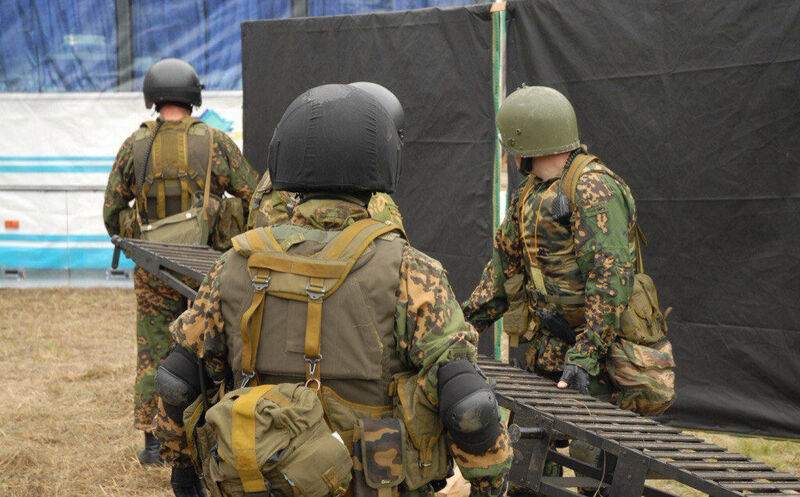 Knees and rear camouflage pants reinforced second layer of fabric. Bottom of pants pressed elastic tape. 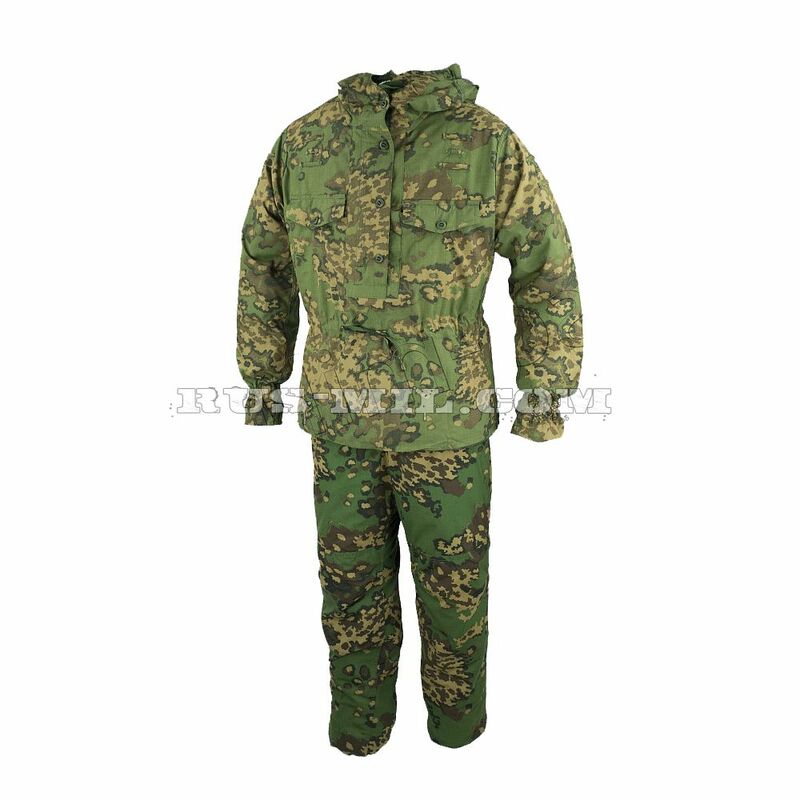 Camouflage suit is designed for use in different regions and climatic zones. Depending on the colors can be used at different times of the year. Made from mixed fabric composition Polyester-Viscose. Possible colors: Summer (manufacturing base case), autumn. Delivery: ships within 3 days after receiving cleared payment.